Tulips from the family of Darwin Hybrids, are very easy to grow and generally have large, traditionally shaped flowers and strong stems and leaves. 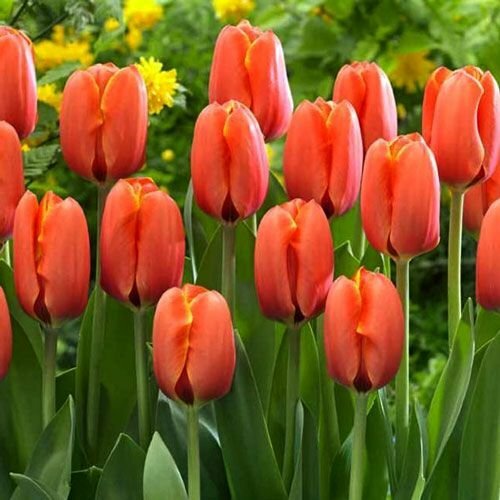 These tulips are ideal for large flower beds in your garden and can be easily combined with all kinds of other flower bulbs. Darwin Hybrids are also known as stinzen plants because they naturalize easily in well-drained garden beds, even in cold climates.